A staple for most companies is the Performance Evaluation. There are different types of evaluations from basic numeric ranking, to objective, to the 360 method. Companies typically use evaluations as tools to determine pay increases and to let an employee know how their performance has been. There have been several articles in recent years which have asked the questioned whether performance evaluations really help or if they are really needed. 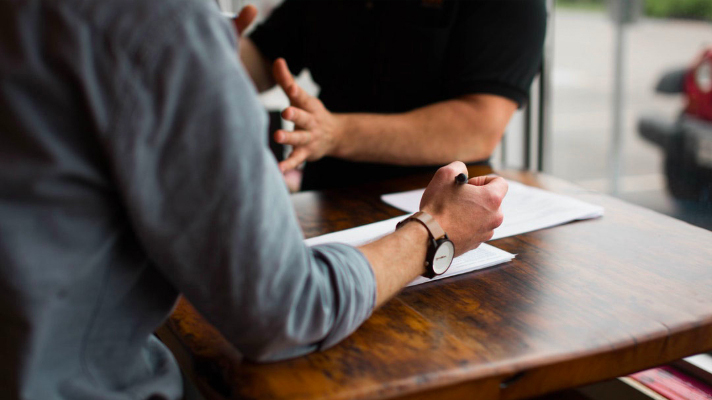 These articles typically discuss the challenges of performance evaluations including how time consuming they are and that they are often perceived negatively by employees. The evaluation practically begs a manager to find issues where there might not be any. The final impression is that evaluations are subjective and do not appropriately rate performance to determine increases, and are use often as tools for terminations. What Performance Management Is: Performance Management is the ongoing communication between a supervisor and staff regarding their performance. This communication can occur daily, weekly, monthly, and yearly either in consultations or individual meetings. When you think of it in this manner, a job description, skills training, counseling, corrective action, award, thank you letter, and evaluation are all part of the system to ensure great performance on an ongoing basis. Why Performance Management Needs Metrics: Are team members required to have a range of sales each month? Are they required to answer and resolve a certain number of calls each day? Are they expected to have fewer than a certain number of complaints from customers? Each role should have a certain metrics that correspond to the company’s success. These metrics should be detailed in the job description and staff should receive regular report cards so they know how they are doing. These report cards can be collected and drive yearly performance evaluations. If you wait an entire year to conduct an evaluation, it’s too late to course correct. Tools for Praise and Tools for Correction: Know in advance how you will praise employees and how you will correct them. One of the most effective tools for praise can be simple letters. Both managers and peers can write letters of thanks to one other when things go well. Managers don’t often see the day-to-day interactions between employees. The letters can help paint a fuller picture and should be made part of an employee’s ongoing record of performance. Good performance should be praised and remembered today, not six months from now. No matter the method, a good Performance Management System should include methods to measure good performance, in addition to corrective actions for poor performance. Will you use a “write up” system? How many “negatives” can an employee receive before it affects their position with the company? How will you help coach a poor-performing employee to better success? Know this in advance and make sure staff are clear on the policy. Performance Management Systems are Ongoing: Managers should start the discussion of performance when the employee starts work. The conversation should continue each day, week, and month. This does not mean a manager needs to meet with their team members daily, but each week a manager should have a way of acknowledging high, medium, and low performance. Performance Management Systems Require Time: The process to improve performance does require time from the manager and from the employee to take their performance from good to great. It requires time from the manager to work with their staff. It can be frustrating, but the outcome can benefit the employee and the company in the end. If you need help developing a Performance Management System, please contact the professionals at the Resource Squad.